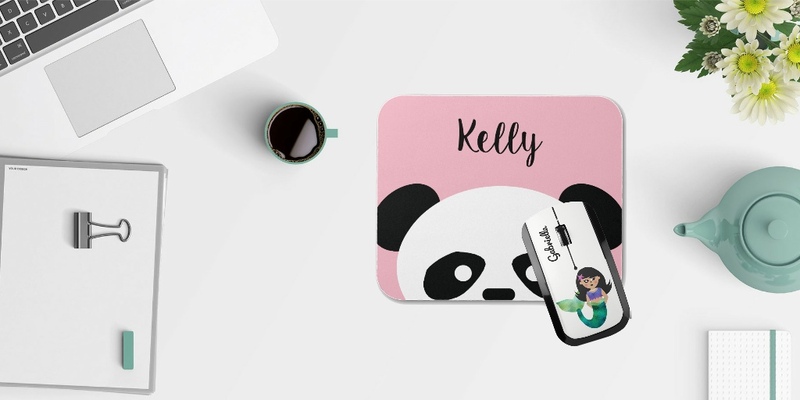 Create a great accessory for the only mouse you want scurrying around with a personalized mousepad for your home or office! Choose from fun kawaii panda, animal, mermaid, monster and other fun designs. You can coordinate with a wireless mouse to match.